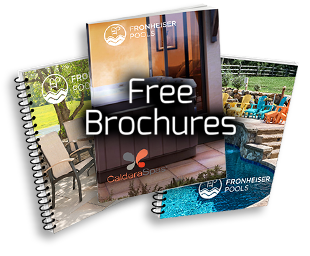 Fronheiser Pools began in the summer of 1965 as a part time business run by Kenneth Fronheiser. Even as a small business, Fronheiser Pools earned a reputation for quality swimming pool construction, which continues today. Ken’s son, Ronald Fronheiser, began working full-time with Fronheiser Pools in 1971 after graduating from Penn State University. With the guidance of his father, a solid education, and a forward-thinking mindset, Ron helped to grow the business into one the premier and most innovative swimming pool companies and pool construction firms in the region. While Fronheiser Pools mourns the loss of Ken Fronheiser, who we lost in 2005, his legacy lives on through his son Ron and through Adam Fronheiser, Ron’s son. After construction on your swimming pool has been completed, regular pool maintenance is also very important to our company. Fronheiser Pools employs numerous professionally trained technicians to maintain pools and repair any issues that may arise during the lifetime of your swimming pool. In order to provide the most timely and efficient service, Fronheiser generally reserves service requests for those swimming pools constructed by Fronheiser Pools. Thank you for visiting the Fronheiser Pools website. We encourage you to stop by one of our stores in Bally, PA or Sinking Spring, PA and say ‘Hi!’ In addition to our quality in-ground swimming pools, Fronheiser Pools is pleased to offer spas and Jacuzzi Hot Tubs, designer patio furniture, as well as a full line of pool and spa chemicals and replacement parts for your pool or spa. Thank you again for visiting us, we hope to see you soon! As a family-owned company, our employees are family to us as well as the key to our reputation for quality and commitment. 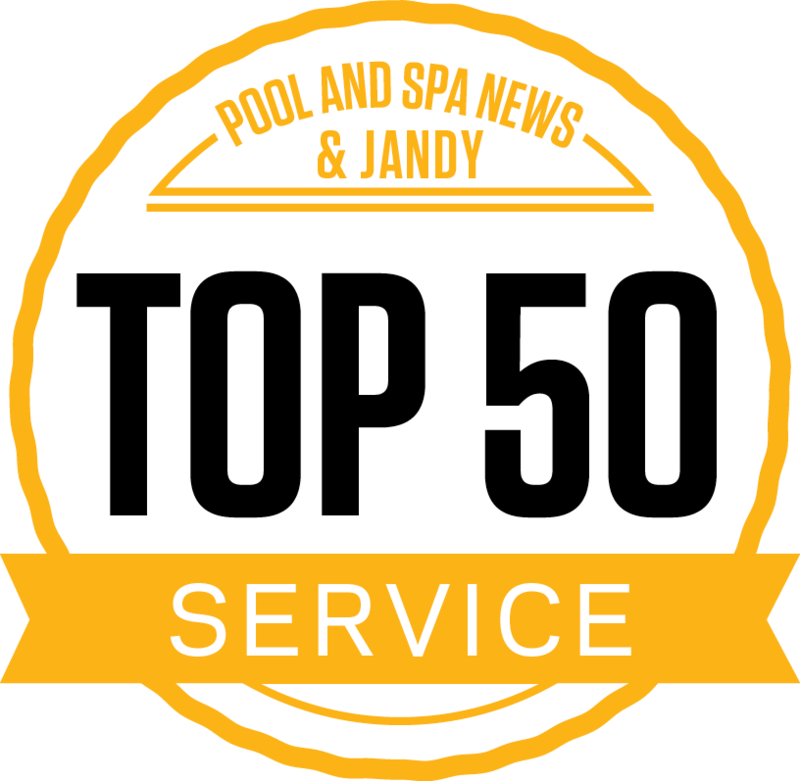 All of our employees are full time and properly trained to design and service your dream pool, spa or hot tub, year-round. A good bit of my life, I have been around construction of some sort. In my teens I was helping my father pour concrete curbs and sidewalks, as well as basements and garage floors for some of the larger home builders in the area. After graduating from Boyertown in 1967, I went on and graduated from Penn State in 1971. Since graduating from Penn St., I have been working in the pool and construction business. While we were still small and growing as a company during the 70’s, I was responsible for operating the backhoe, driving our dump truck, pouring concrete, and also performing any pool service we had in the evening after building pools. Fronheiser Pools continued to operate out of a garage behind my parent’s house until we outgrew that location and built a new store with over 8,000 sq. ft. of showroom space in 1996. That garage behind what was my parent’s house now serves as our current construction office and design center. Due to our strong presence in Berks County and in the surrounding Reading area, we added a second store in Sinking Spring to better serve our customers in that area. I am happily married now for almost 43 years. I have three children and four grandchildren. I was very much involved in competitive swimming when my children were young. I was involved throughout the 80’s and 90’s in both the local and regional chapters of the National Spa and Pool Association. I was president of the local chapter for two years in the 90’s and I sat on the regional board for several years as well. I am currently a Certified Building Professional through our trade organization. I am also very active in my church at this time and I sit on the Deacon Board. My name is Adam Fronheiser, and I feel as if I have been in this industry my entire life. I first began working as a part-time employee at Fronheiser Pools at the age of 13 in our original retail location. Throughout my years attending The Hill School and The University of Vermont, I would work the summer months by helping to construct both above ground and in-ground pools. Upon graduating from UVM in 2003, I spent my first full-time year at Fronheiser Pools working exclusively on our construction crews in order to get a better understanding of the intricacies of building a swimming pool. My progression through the company continued as I began to travel with my father, Ron, and learn the art of selling pools and assessing the unique conditions presented by every yard to help guide our client’s through determining the best location to place a pool. As Vice President, I am involved in a wide array of functions to help our company function effectively. I would say that my main function during the pool season is to perform site assessments and meet with clients face-to-face at their residence. I rely on my knowledge and experience as a Certified Building Professional to help guide my clients throughout the entire construction process. I am married and have one child. In my free time, my primary focus is to spend time with my family. I also enjoy music, rooting (aka suffering) for all four Philadelphia sports teams, swimming, hiking, skiing and Frisbee disk golf. I joined Fronheiser Pools with 20 years of experience in service industries. I started out in a multi-family industry where I was a technician and service manager. From there, I went to work for an HVAC company in Chester County. For over eight years, I served as the Service manager, Operations Manager and then the General Manager for them. I am married with four children and enjoy running, reading and baseball. Hi, my name is Nancy Beck. I started out with Fronheiser Pools as a part-time Bookkeeper in 1984. In 1987, I became a full-time employee. I am currently the Office Manager. I own a swimming pool and enjoy every minute of time in my pool. I have owned my pool since 2001. In 2013 we finally decided to purchase a heater for my pool. It was the best thing we ever did. Now I can swim in my pool in October! Besides swimming, in my leisure time I also enjoy golf, bike riding, tennis, and walking. I have been with Fronheiser Pools for 14 years. I got my start with Fronheiser Pools on the digging crew before expressing interest in helping with the management side of the business. I bring an additional 10 years of general residential construction experience from my previous job. My current responsibilities include meeting with customers to finalize construction plans, overseeing pool construction, and communicating with customers during the construction process. In my spare time, I enjoy riding my motorcycle, music, sports, and spending time with my family. In 2016 I became the new General Sales Manager for Fronheiser Pools where I oversee both store locations. I graduated high school from Boyertown in 2001. I then went on to Kutztown University for Business Administration and more recently Immaculata University for Human Resources. From 2005 through 2015 I worked for Verizon Communications as a Service Technician. I have been happily married to my wife, Stephanie since 2008 and we have a 3 year old daughter, Emery Jade who blesses our hearts daily. Interests outside of work range from Tae Kwon Do, playing disc golf and even singing Opera with the Berks Opera Company when time permits. Additionally, I am very active in my church and have had the opportunity to chair the Deacon Board for the past few years. I am Heather Fillman, the Assistant Manager at Fronheiser Pools. Although I have lived and traveled extensively, I currently play and reside locally with my loving husband, my wonderful middle schooler, and my college bound teenager! My passion for helping customers design and customize their outdoor living area, has led me to oversee the Furnishings and Decor Dept. here at the Bally store. In addition, I am a Certified Pool Operator and a Certified Water Specialist. Please stop by or give me a call, I look forward to assisting with any of your pool, spa, or furnishing needs.